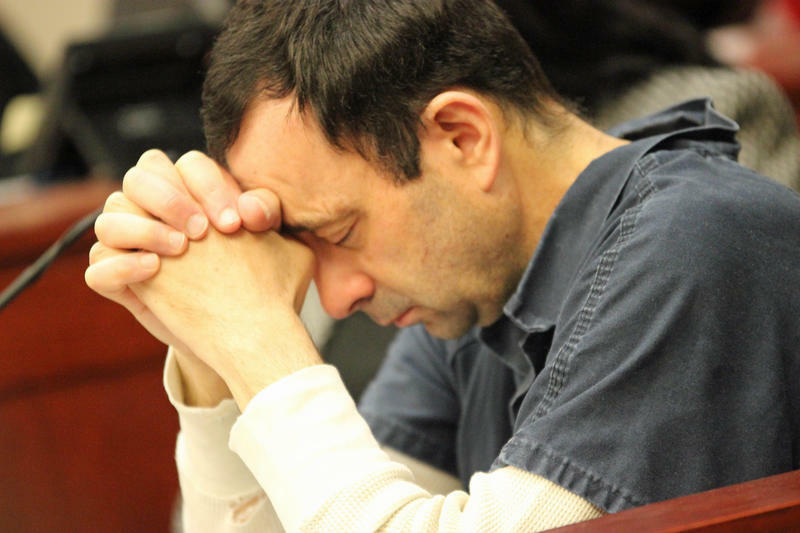 Wednesday, Larry Nassar was sentenced to 40 to 175 years in prison for molesting young girls and women under the guise of medical treatment. That same day, longtime Michigan State president Lou Anna Simon submitted her resignation. Snyder spokeswoman Anna Heaton said Friday the governor is studying whether the potential move could interfere with other investigations. State Attorney General Bill Schuette on Saturday plans to elaborate on his own review, after victims of Larry Nassar complained they told Michigan State employees about his abuse years ago. Republican political operative Dennis Lennox filed a lawsuit Thursday seeking to compel the Republican governor to investigate the university's publicly elected eight-member board. Meanwhile, Michigan State football coach Mark Dantonio says he's always worked with the correct authorities in cases involving sexual assault allegations. After an ESPN report detailed various allegations involving Michigan State football and basketball players, Dantonio addressed reporters briefly Friday night. "I'm here tonight to say that any accusations of my handling of any complaints of sexual assault individually are completely false," Dantonio said. "Every incident reported in that article was documented by either police or the Michigan State Title IX office. I've always worked with the proper authorities when dealing with the cases of sexual assault." Dantonio was asked about rumors that he was planning to resign. He said that is "absolutely false."